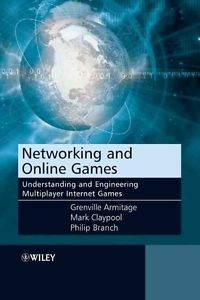 245 1 0 %a Networking and online games : %b understanding and engineering multiplayer Internet games / %c Grenville Armitage, Mark Claypool, Philip Branch. 260 %a Chichester ; %a Hoboken : %b John Wiley & Sons, %c cop. 2006. 300 %a IX, 218 s. : %b il. ; %c 25 cm.